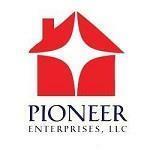 We specialize in acquiring high net worth and focus on buying assets below market values. Renovation, flipping and renting properties with a longer term hold, using our in-house Property Management team, is our niche. The later model gives fixed income and long term returns with added appreciation. We have strong investment acquisition experience in all types of Residential properties - like condos, duplexes, split levels, town homes, Ranchers, detached, row homes - through trustee sales, REO auction platforms, MLS systems, short sales and distressed mortgages. We have a dedicated team of Contractors providing topnotch quality rehabs at reasonable cost. This, in turn, keeps the cost lower for our Investors. We are actively involved in acquiring, rehabbing and flipping properties, in addition to our forte of long term rental acquisition strategy. There is a huge market demand for first time buyers, as well as record low mortgage interest in Anne Arundel, Baltimore, Howard, and PG Counties. 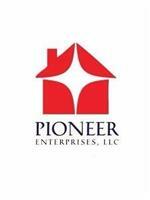 In last decade, Pioneer Enterprises LLC has renovated over 250+ properties for flips. About the same number have been turned over in new rentals.